You deserve the "Royal" treatment! Once you fly Royal Air, you'll wonder why you didn't try us sooner! We provide business owners and families a safer, hassle-free alternative to air travel and transportation. We offer all the same amenities as larger private jet companies, with the integrity and loyalty of a small family owned business. 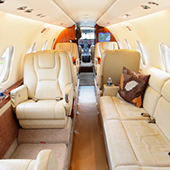 It’s easy to fly private with Royal Air Charter! We fly according to your schedule- Anytime, day or night, 365 a year. We fly where you want to go- U.S., Canada, Mexico, and the Caribbean. We customize air travel to your needs- Offering flexible, steadfast commitment to customer service. We provide custom in-flight catering- As requested by our clients. We welcome pets on our flights. We provide a variety of aircraft to choose from. Each trip is customized to fit your individual needs. 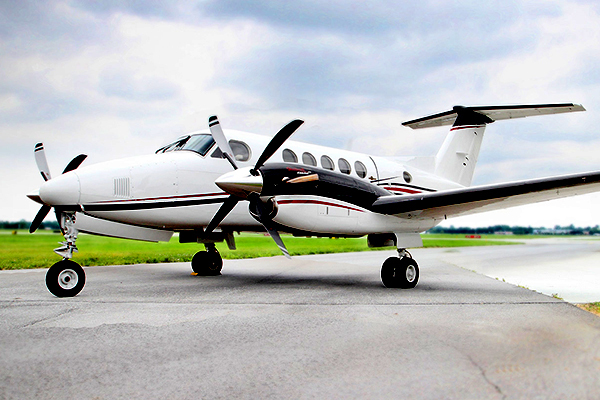 We own, operate, and maintain our entire fleet under Part 135 certificate number BUHA637C and in a state of the art FAA approved facility under Certificate # BUHA637A. We employ only FAA certified aircraft mechanics for the maintenance of all aircraft. Owning our entire fleet means the aircraft you choose for your travel plans will never be pulled from your trip, unlike brokered or managed fleets. Combined our pilots have over 100,000 hours of flight time. All pilots are Argus Gold safety rated. All aircrafts are hangered and depart from Oakland County International Airport in Waterford, MI. This eliminates costly reposition charges. Enjoy the savings provided by our rewards program. The more you fly, the more you save.